Among the more well known apples we grow are the following with their approximate picking dates. Each year, of course, the picking dates vary according to the weather and the quantity of any give variety can vary greatly. 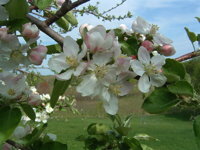 We call our place Earthsong Orchard Farm, since one of the first tasks we took on after we bought our place in the fall of 1998 was to plant a small orchard of about 200 apple trees, plus a few plums and pears. 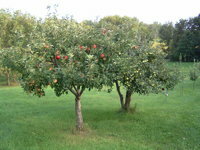 We tended the orchard, and a garden as well, on weekends and during the summers until we were able to move here permanently in 2005. 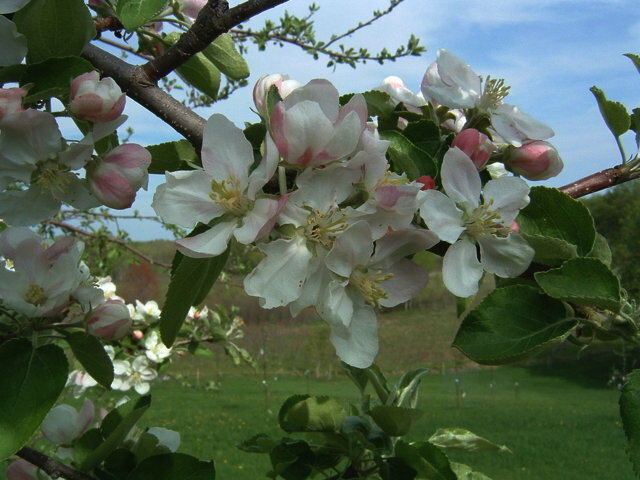 There were already about a dozen old apple trees growing in broken rows on an eroded and not very fertile slope. Most of the trees were misshapen and overgrown, some with 3 or 4 trunks. While the rows were discernable, there were huge spaces here and there where trees had died over the years. 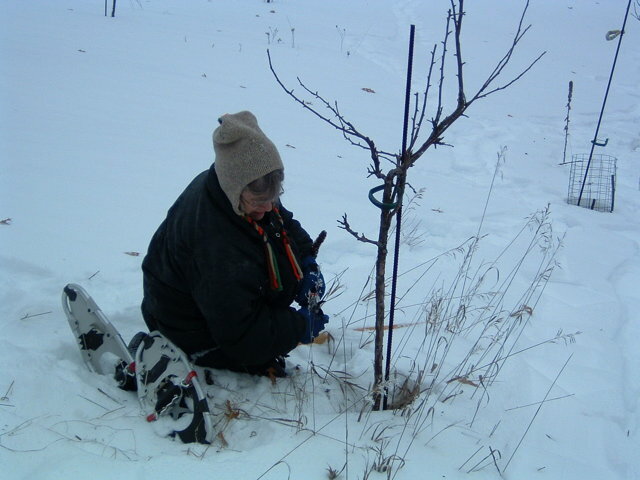 We discovered that these trees had been planted back in the early 1970s and had come from the late Elmer Swenson, a local legend famous for his work with development of grapes at the University of Minnesota Horticultural Program. 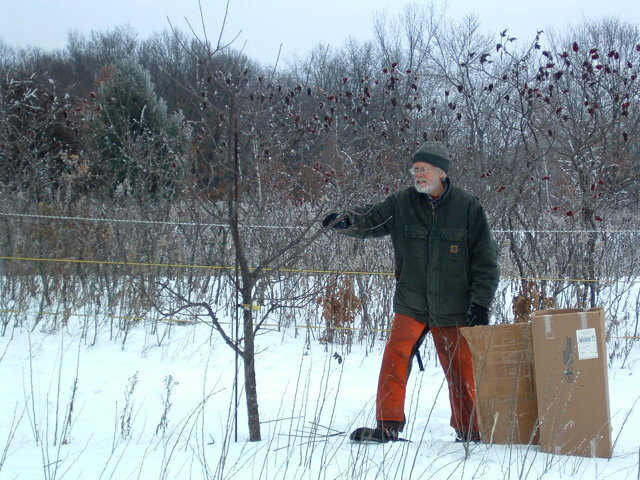 He remembered giving some trees that had been culled at the research station to the previous owners of our farm. He didn't remember what varieties the trees were but thought they were cultivars whose development had not been carried forward for one reason or another. 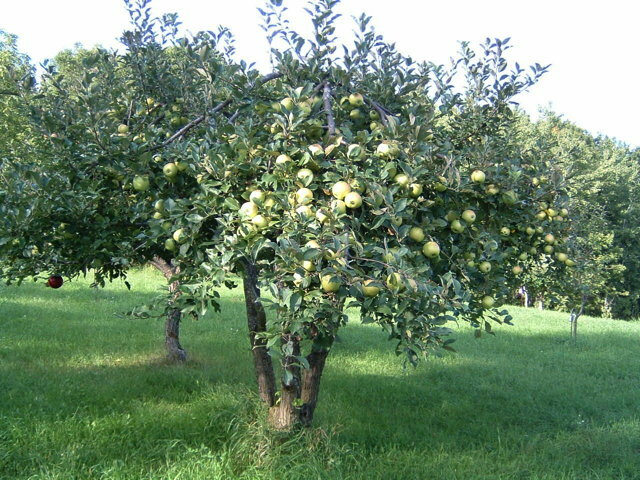 Still they have been a wonderful asset to us, giving us great eating apples, sauce, cider while our young apple trees were still years from producing a crop. 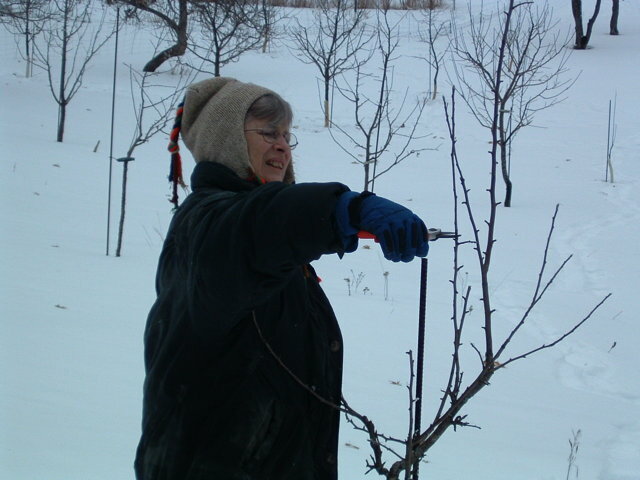 We radically pruned the old trees repeatedly and planted about 100 new ones to fill in the missing spaces and expand the orchard further down the hill. 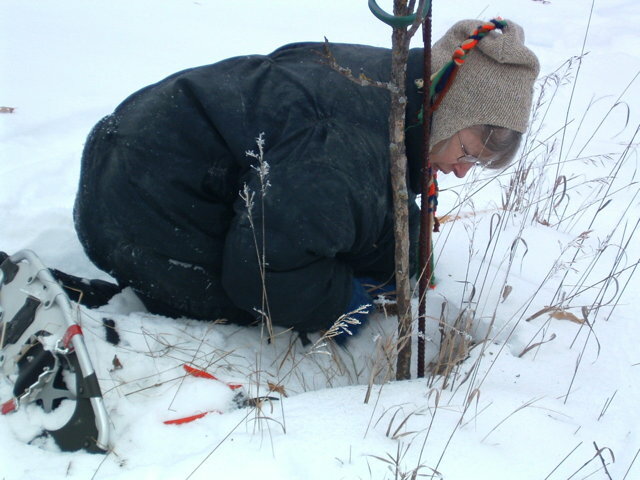 What with predation by rabbits, mice, and deer, who had little problem getting around our rather weak defenses in the early years, we ended up replanting many of these trees. Our approach was to alternate a full sized tree with a dwarfing or semi-dwarfing variety, working out the spacing so that when the dwarf trees completed their shorter life cycle, the larger full sized trees would fill in the spaces in between. In places where replanting has taken place sometimes we could not get the same size or variety of tree so the pattern isn't perfect. Also, growth has been very slow and we're just beginning to see great differences in size between the various rootstocks. Although full sized trees take longer to bear fruit, we liked the idea of putting some trees in the ground that will be around for many decades. 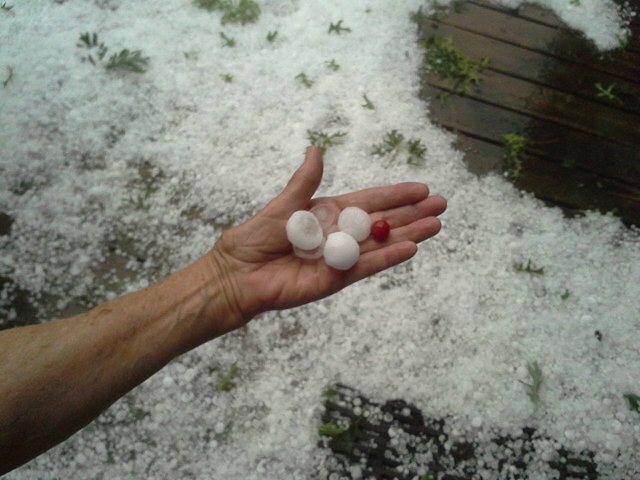 Two years later we planted a second orchard again of about 100 trees on higher ground above the house. The land is flatter there and less eroded and the trees have grown with a good deal more vigor. 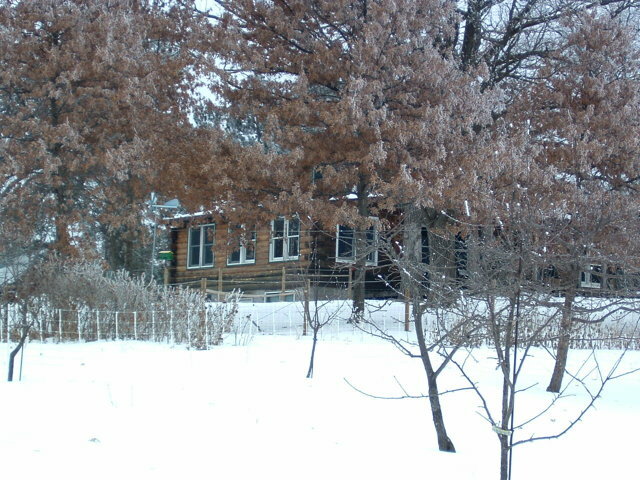 Also our fencing has improved, decreasing deer damage. We are using a double fencing system recommended byPremier 1 Suppliesthat employs a main fence standing 5 feet high of 4 stands of highly visible black and white electric rope with a second fence of a single 30 inch strand electric rope 2 feet to the outside of the main fence. The idea is based on the notion that deer can jump far and they can jump wide but are spooked by the idea of doing both at the same time. We also have apple scented cotton balls, which are stuffed into metal bottle caps, wired to the outside fence every 30 feet or so around the perimeter. If the deer are attracted to the scent and touch the bottle cap they receive a shock and hopefully learn to avoid the orchard. So far this has worked well and deer damage has been at a minimum. 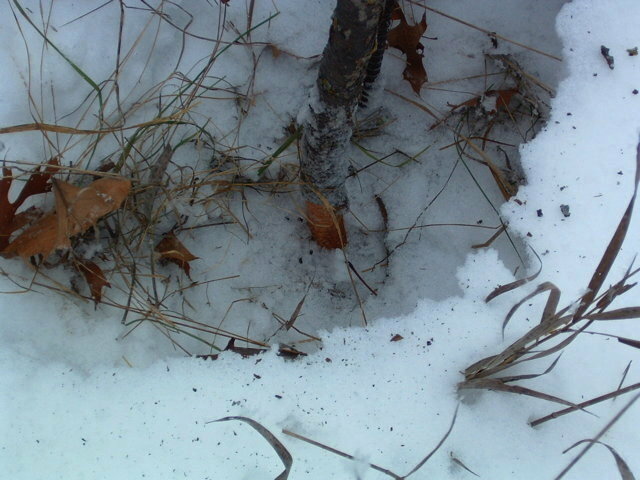 During winters with very heavy snowfall, which has been the case lately, the lower ropes can become buried in the snow. Although we see some minor damage under these conditions, the system continues to work quite well. To combat the rabbits and mice we put plastic spiral wraps on each of the small trees. The little critters still manage to nibble on the bark a bit but usually not to the point of killing a tree. We try to get these on before the first snowfall, but there have been a few times were we have had to go out with snowshoes to get the job done. We often do a bit of pruning at that time, generally leaving the bulk of it until the snow is off the ground. The management of our orchard following organic practices has benefited greatly by the pasturing of our animals beneath its branches. Pasture raised chickens were the first. The pasture in this case was the orchard in front of our home. Both our laying flock of Buff Orpingtons, and the chickens we raise for meat, have spent the warmer seasons moving around the orchard using portable housing and electronet fencing. Over the years they have assisted us in fertilizing the ground and eating bugs, as well as providing us with a bountiful harvest of eggs and roast chicken. In the winter, when the chickens return to the coop and the sheep are brought into the barn, their manure and bedding build up and provide the materials for our compost piles, which, of course, are returned to the orchard and the garden. Our flock of sheep is growing and we are excited both by their mere presence and by the enlivening effect they have on the land. 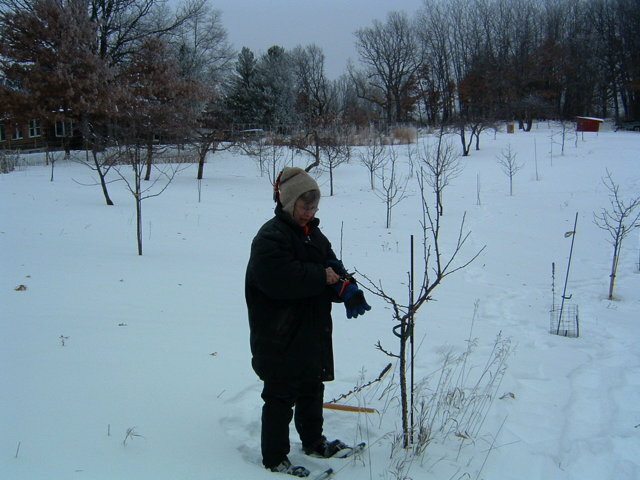 Yet in many ways the orchard is still the center of our homestead—in one way or another most everything we do relates back to it. 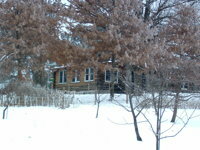 In the process we feel like we are on the path to achieving an integrated and balanced homestead on this small, hilly and heavily wooded 31 acre farm.